Thirty-four-year-old New Jersey State Trooper Robert Higbee lay on his back in an Atlantic City Hospital room. His 6'8" frame hardly fit into the bed. 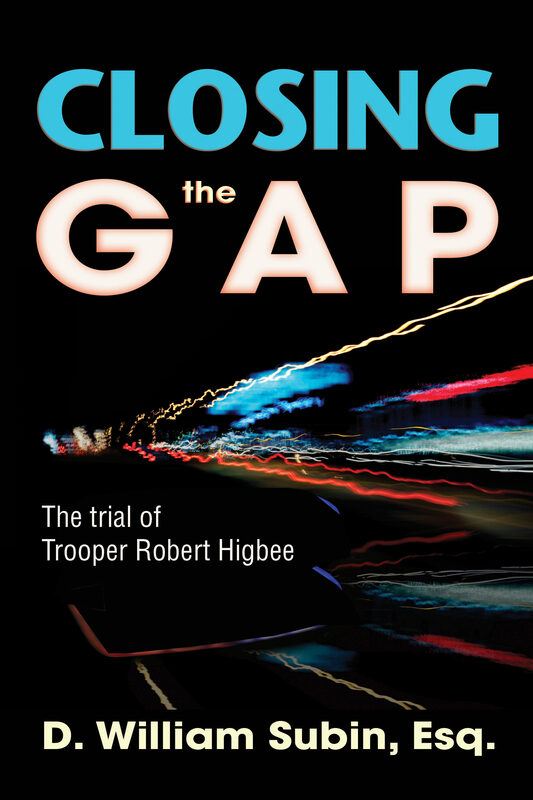 Just hours before at 10:00 p.m., Higbee sustained a concussion when the patrol car in which he was "closing the gap" on a speeder, collided with a van crossing through an intersection ahead of him. Tragically, the two teenage sisters in the van died at the scene. The next morning, I received a phone call from the State Troopers Fraternal Association of New Jersey (STFA), the organization that represents the state's law enforcement officers. I was already on their approved attorney's list and had previously answered "critical incident matters" on their behalf. I was now being asked to represent Trooper Higbee regarding any repercussions related to the accident. Within an hour I was at the hospital. Higbee was still in a daze. I had no idea at that moment I met him, how closely our lives would become connected. Five months later, a Cape May County grand jury indicted Trooper Higbee on the charge of vehicular homicide, a crime that carries a penalty of up to twenty years in prison. My job was to establish conclusively that Higbee had acted neither intentionally nor recklessly, only that he had made a tragic mistake in the dark of night, at a poorly marked intersection in rural Cape May County, New Jersey. The heaviest burden that can be placed upon a defense attorney is in knowing that the fate of an innocent person rests in your hands. The following two-and-a-half years would prove to be the most demanding and excruciating I have ever experienced in my career as a criminal trial lawyer.